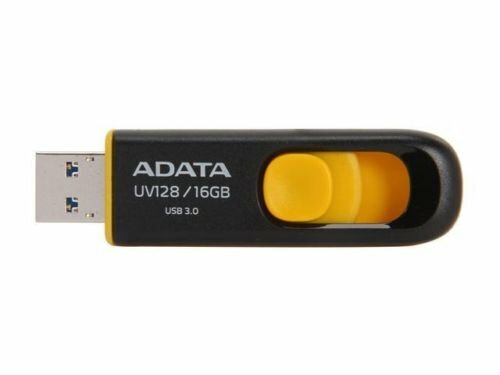 ADATA 16GB UV128 USB 3.0 Flash Drive (AUV128-16G-RBY). ADATA UV128 DashDrive 16GB Flash Drive has a write speed of 15MBps and read speed of up to 40MBps. This USB flash drive boasts a storage capacity of 16GB with a USB 3.0 interface. USB 3.0 High-Speed Transmission Interface, Easy Thumb Activated Capless Design, Graceful and Minimalist Design. Faster download capability. Regret loaning it out. Lol! One of the two was doa and no replacement from outletpc. Purchased two, both had failed within 6 months.One is completely broken, unrecognized by the pc and all data lost.The other is on its death bed. 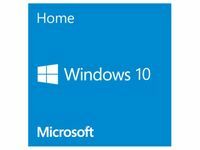 My pc will pick it up about 10% of the time, and even then it will only last about 5-10 minutes before it disconnects abruptly.Avoid this drive - does not last! Works very well is fast and the slide is smooth too. 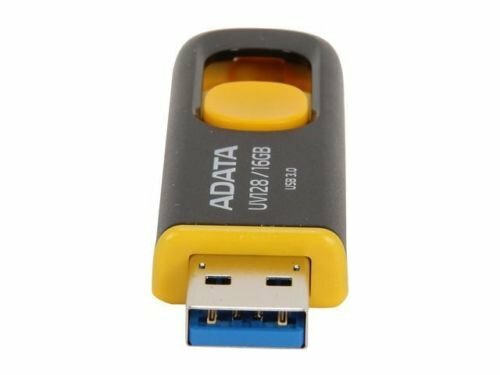 Best price per performance usb flash drive. I have bought multiple adata products to include their ssd's. I would recommend this brand to anyone and i would buy this item again.